Misplacement of surface mount components by a pick and place machine or a human assembler can be inconvenient. Fortunately, surface mount components seem to magically (and conveniently) align themselves when they go through the reflow oven. What is the cause of this favorable phenomenon? Well it’s as intuitive as being on a trampoline. When you stand on a trampoline, the fabric bends down and exerts an upwards elastic force. You remain still because that force is balanced with the downwards gravitational force. You’ll also feel yourself leaning towards the center of the trampoline, as that is the point at which your weight would be equally distributed across the entire surface of the trampoline. Nature mostly tends towards equilibrium. Now imagine instead of being on a trampoline, you’re on a square platform that is being balanced on four separate trampolines. Assume that none of the trampolines have a frame you could hit, and are placed symmetrically at the corners of your square platform. No matter how you jump and try to spin the platform, the corners will slide towards the center of each trampoline when you stop. This is similar to what’s happening in the reflow oven, except instead of a platform and trampolines, it’s your surface mount component and solder deposits. When the solder turns liquid, it acts like a trampoline because of surface tension. The component is then aligned to the position which spreads its weight equally across all of the deposits. There are of course other forces at work (hydrostatic and capillary pressure, dynamic friction, gravitational), but surface tension plays the primary role in aligning the component. When the solder becomes a liquid, it attempts to minimize its surface area (this is why it has a surface tension in the first place). The reason behind this is because all of the molecules try to have the smallest amount of free energy, which is when they are connected to/completely surrounded by other identical/similar molecules. This means that the molecules in the bulk of the material have less free energy than the molecules on the surface of the material (if the reverse were true, materials would tend towards forming surfaces rather than being in bulk). When the solder reflows, it is already inherently in favor of bonding with an identical/similar material in order to minimize the number of molecules that are on the surface and thus decreasing its free surface energy. The substrate of the QFN is made from ceramic, which holds its atoms together using ionic and covalent bonds (much stronger than metallic bonds). Trying to get the solder to bond to ceramic is like trying to mix a liquid with a solid; you might get a few drops to stick, but most of it will slide right off. On the other hand, bonding metal together is like mixing different liquids; some will separate, but most mix easily. To what extent can the component realign itself? The answer to this question will vary depending on the geometry and size of the component. A quick experiment using mixers in 3mm (0.114”) QFN packages showed that components were able to realign themselves from up to a 9-degree offset and 0.2 mm (0.008”) horizontal translation. The next experiment showed that that a 10-degree angle could also be corrected, whereas a 12-degree angle would be more disorientated. Furthermore, any translation over 0.3 mm (0.012”) wouldn’t be realigned. What’s the significance of these values? The value for translation is fairly easy to explain. Since the width of the pads on the QFN is 0.3 mm (0.012”), anything over 0.3 mm would mean that there is no contact between both the top and bottom pads (labelled 1 and 2 in figure 3) and the solder. Going back to the trampoline analogy, that would be like moving the platform so far to the left that the two trampolines on the right were no longer part of the system. Assuming that the platform can’t fall, it would be rebalanced on the two trampolines to left. With the QFN there are still four traces in contact with the pads, but the top and bottom pads (labeled 3 and 4 on figure 3) are not the correct ones and due to adhesive forces, pull the package off the trace on the right, and the balance is redistributed across three points of solder. Explaining the value for the angle isn’t as simple, but still fairly intuitive. At a 10-degree angle, the surface area of the QFN’s middle pad that is overlapping with the trace is greater than the outer pad’s overlapping surface area. As a result, more of the solder adheres to the QFN’s middle pad and cohesive forces between the solder molecules pull it further into the correct position. In the case of the 12-degree angle, the overlapping surface area of the outer pad is greater than the middle pad, and so the QFN is pulled into a position that maximizes the area of contact between the outer pads and the trace. 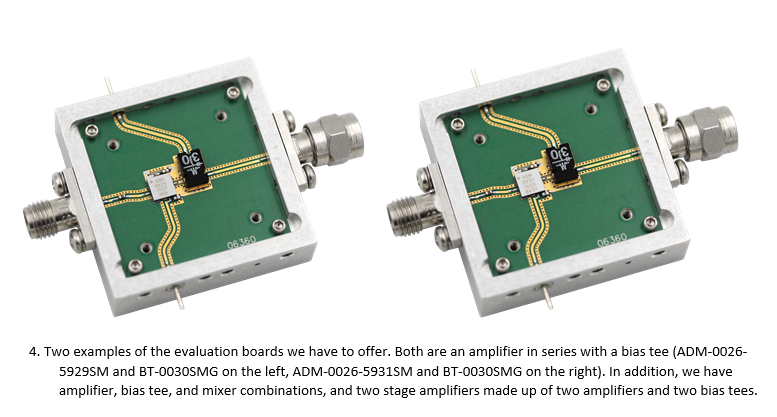 Although we didn’t run experiments with other surface mount components, we can extrapolate from these results that self-alignment will be affected by the size of your components and traces, the number of traces required for that component, and the component’s substrate. Our QFNs have a large potential for self-correction, since they’re relatively small, have four symmetrical traces that act as alignment points, and are on a ceramic substrate that doesn’t bond well with solder. On the other hand, a larger component with only three traces on a metallic substrate would likely have a smaller potential for self-correction. What does this mean for your assembly process? If you’re not already using a reflow process, you should consider it. Not only is it forgiving in terms of component misplacement, but the tendency towards self-alignment can also reduce reflection losses from pad to trace misalignment. The relatively large margin for error shouldn’t affect the quality of your process (it doesn’t here at Marki), at least you can rest easy knowing that a small hitch usually won’t have catastrophic results when it comes to surface mount assembly. Determining how a component will perform for your application using only a datasheet is difficult and unreliable. If you’re interested in seeing how Marki products would actually fit into your system, contact [email protected] to obtain some of our multicomponent evaluation boards. With a diverse range of configurations made up of bias tees, amplifiers, and mixers, you can find the optimal solution for your needs.